The #1 place to learn about IoT. 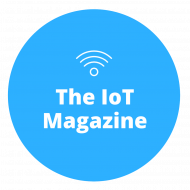 It is a platform for IoT enthusiasts to share and learn all about latest trends and technologies. Experts, authors, developers and thought leaders come together and share their learning, research studies, projects or anything that adds value to our audience.